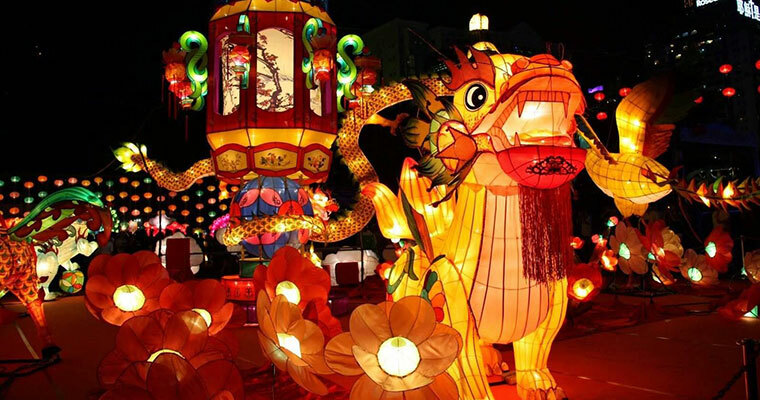 Tet Trung Thu, also called Mid-Autumn Festival or Moon festival, is believed to originate from China and celebrated by many other Asian countries including Vietnam. 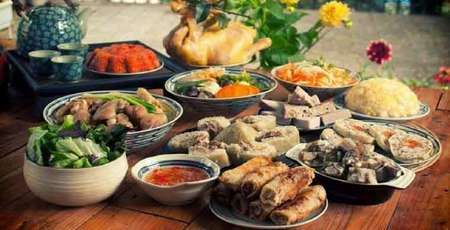 Celebrating on the 15th day of the eighth month on the lunar calendar, this festival has become an essential part of Vietnamese culture. Through the traditional concept, during the festival the moon displays it full shape with the brightest light, presenting the fulfilment and hope for auspicious weather, prosperous crops, peace & wealth. During the harvest season parents are busy with peasant work, hence, they take this time to make up for their children. 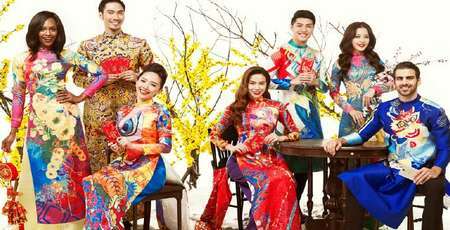 Years after years, it has become a special occasion for a family reunion, vibrant dragon dance, colourful lanterns and delicate mooncake. 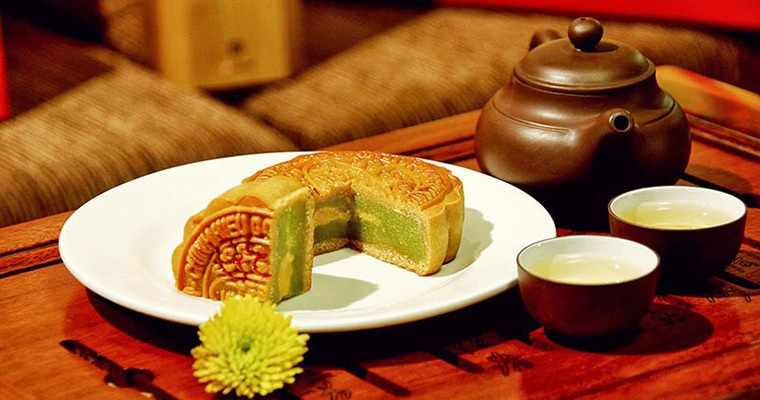 During the celebration, family members habitually get together, show gratitude to their ancestors and delightedly enjoy mooncakes over fragrant lotus tea while admiring the fullest moon. 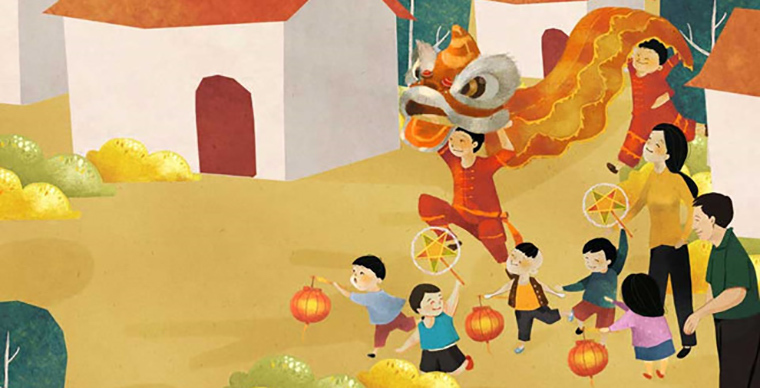 In the meantime, kids typically parade along the street with their well-lit lanterns, reciting folk poems, chanting traditional moon-welcoming intonation, and playing traditional games. Long time ago, there was a naughty boy, named Cuoi, remains lost in the heaven alongside his banyan tree due to his continuously telling a lie. Every Mid-Autumn festival, his neighbours lighted up the lanterns with the hope that the bright light would guide him the way home. Since then, the lanterns have become one of the symbols of the moon festival. 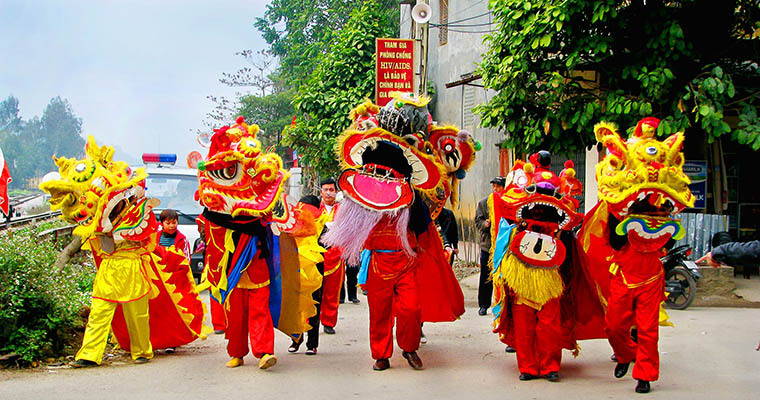 Children with lanterns, masks and special costume marching around, make the streets of the cities echo with the sound of drums as dozens of lion roam around. 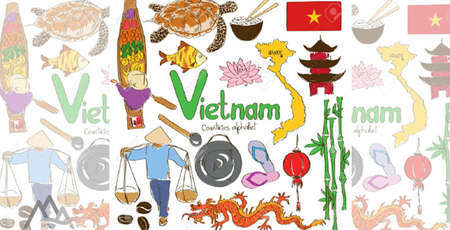 In the present day, this festival remains as a fundamentals part in Vietnamese spiritual belief. 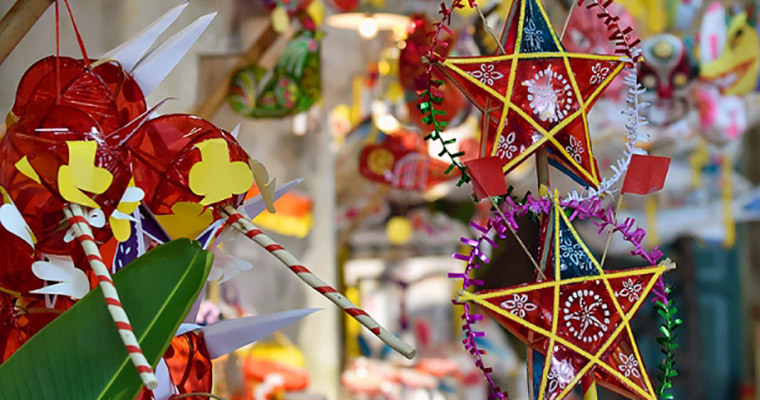 Visiting Hanoi, travellers can experience the festive spirit in the old quarter, especially, in Hang Ma Street and Dong Xuan market, where colourful lanterns and angel wings and all type of decoration are festooned. Known as a small street in the old quarter Hang Ma is one of the streets retains Hanoians’ traditional, commercial slant, making votive objects used for worship and work-paper ornaments. 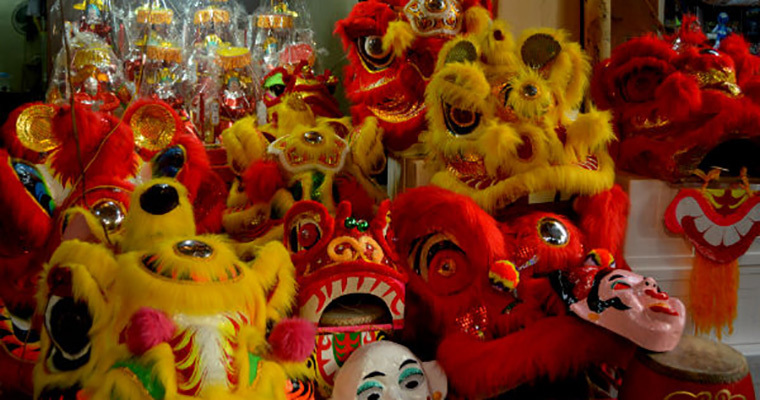 Besides, Hang Ma displays all kinds of toy and decoration for every celebration and Moon festival in particular. Ranking on the second place after HangMa, this market is a very popular place for Mid-autumn festival celebration. Besides the daily market opened from 7 am to 9pm, Dong xuan street is also famous for its night market. Coming here, travelers will be amazed with streets food vendors and experience the rhythm of Hanoi when night falls. Above and beyond fairy tales, plentiful fruits and cheerful dragon dances, moon cake is an important feature of moon festival. Mooncakes are traditionally filled with lotus seeds, orange peel, ground beans, egg and pork fat. The originally shape is round and carb which presents full moon and mascot of festival. In recent years, mooncake filling has veered from traditional and truly toxic ingredients have been introduced. 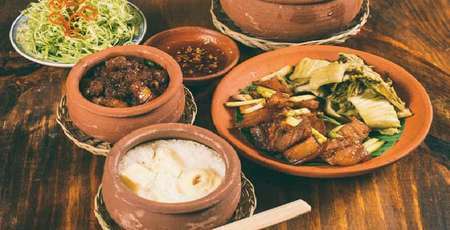 Visitors can choose various famous brands of moon-cake as Thu Huong, Huu Nghi, Kinh Do or Bibica. Come along with the sweet of moon cake, lotus tea with the bitter taste creates the unique flavor as the combination between yin and yang. 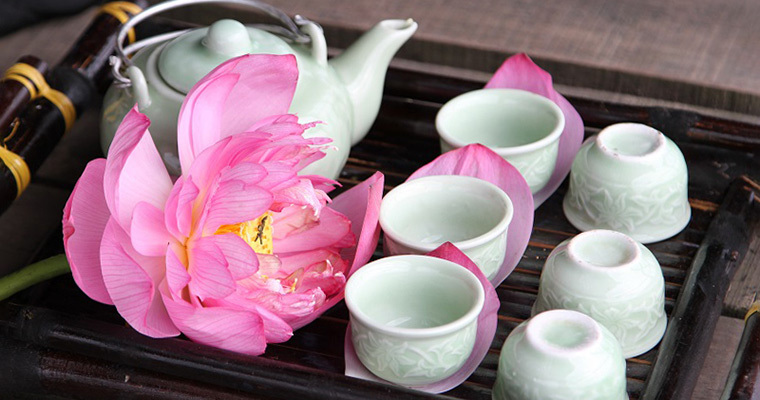 Lotus tea is jade green in color, with tightly twisted leaves and with a pale, amber colored infusion. It has a crisp, clean flavor, vanilla hinted and the great scent of Lotus blossom lingering in the mouth. A side from this tea, green tea with jasmine flavor is also typically served during our mid-moon festival. With a box of moon cake and a pack of Vietnamese tea, you can bring home the quintessence of Vietnam.